It all started at a Comic Con. 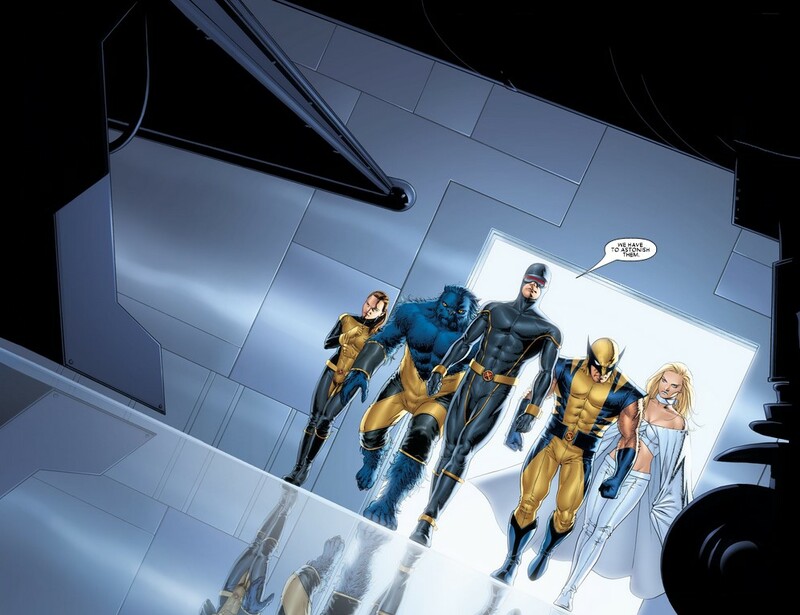 Marvel Editor Joe Quesada spoke to the legendary Joss Whedon, not for the first time, and tempted him with the idea of writing the X-Men – with art by John Cassaday, of whom Whedon was a fan. It led to the critically acclaimed, award-winning series of ‘Astonishing X-Men‘! 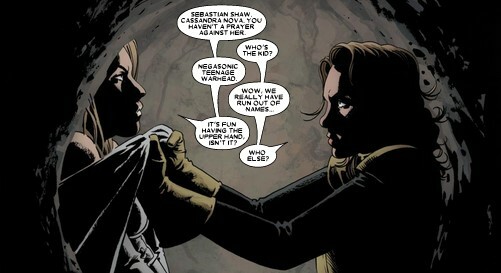 Whedon had grown up with comics, and with the X-Men in particular; his childhood crush Kitty Pryde is constantly referenced as the inspiration for the character of Buffy. And yet, for all his knowledge of the greater history of the X-Men, he’d been following Grant Morrison’s run avidly. Originally Whedon was signed up to replace Morrison on ‘New X-Men’, but Marvel took another route. They gave Whedon a series all of his own. They also gave Whedon the freedom to push things in a different direction than Morrison. On the one hand, Whedon picked up several members of Morrison’s core cast – Cyclops, Beast, Emma and Wolverine – and he freely built upon Morrison’s foundations. Under Whedon’s careful pen, the relationship between Cyclops and Emma was solidified into something quite touching; there’s a moment in ‘Unbreakable’ where she admits her love for Scott, and it’s truly heart-warming. Given the success of the Marvel Cinematic Universe – including the Whedon-penned ‘Avengers’ movie – I rather think he’s proved his point. As always, Whedon was known for his strong female characters. He drew Kitty Pryde back into the title, and made her the main focus. Emma Frost took on a central role, and other female characters were introduced – including the popular Abigail Brand, the cybernetic Danger, and the amusingly code-named Armor. Like all Whedon creations, Brand is wonderfully sarcastic! Little surprise that Whedon’s run divides the fans a lot less than Morrison’s. The series was critically acclaimed, winning the 2006 Will Eisner Award for “Best Continuing Series”. ‘Gifted’ (issues #1-6), in which a mysterious alien known as Ord is responsible for the unsettling revelation that there is a cure for mutation. Kitty Pryde joins the faculty staff, and is shocked to discover a resurrected Colossus, her old flame. ‘Dangerous’ (issues #7-12), in which a tragic death at the School leads to the Danger Room manifesting itself as a mechanical intelligence. It is revealed that the Danger Room has become sentient, that Xavier has known this for a long time, and that it has in essence been enslaved. ‘Torn’ (issues #13-18), in which Cassandra Nova manipulates Emma Frost and launches a devastating attack on the X-Men that reveals their innermost fears in a deconstruction of the characters that is absolutely fascinating. In each of these articles, I’m going to look at a couple of the key characters and how they were developed during this period. A brilliant re-doing of a classic scene! During the events of ‘Unbreakable’, the two managed to stabilise their relationship; all the more poignant a moment, then, for Kitty to sacrifice herself to save the Earth at the end of that arc. 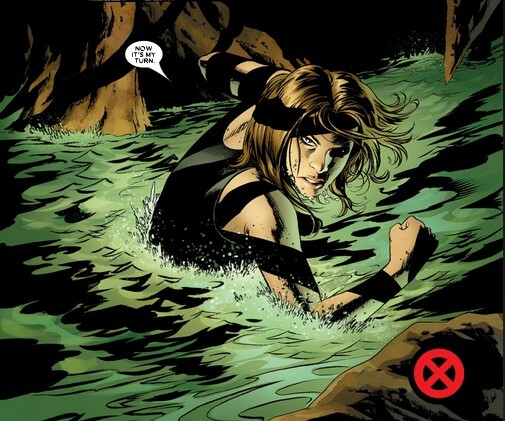 In truth, the whole run is the story of Kitty Pryde; her return to the X-Men, her embracing her past and fulfilling the potential she had as a child, and ultimately her proving herself a true hero in an act of self-sacrifice. And yet, in my view Whedon avoids the risk of the Mary Sue; he keeps her a wonderfully three-dimensional character, and her rage at Emma in particular is palpable in some scenes. In many ways, Whedon laid the groundwork for everything that would follow over the next decade. He gave Scott still more reasons to lose faith in Xavier, and to become a leader after his own fashion. 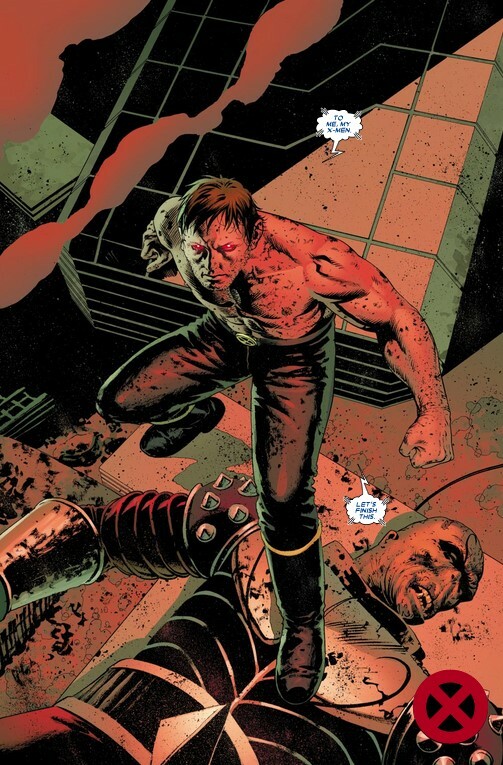 Scott ups his game most notably in the ‘Unstoppable’ arc, launching a cunning strategy that depends on the gamble that the Breakworlders can resurrect him if he dies to give the team a chance. Over the course of the series, Whedon broke down Emma’s diamond shell and revealed her inner hero. When she told Cyclops that she loved him in ‘Unstoppable’, it was a wonderfully understated moment that nevertheless feels like a turning point for her. Whedon’s run suffered a little in terms of continuity, largely because he consistently struggled to meet deadlines. This meant that other writers found it difficult to accommodate his continuity, and vice versa; most notably, Kitty’s fate forced a hurried revision of ‘Messiah CompleX’, in which Kitty had been intended to play a (probably minor) role. Speaking to Wizard Magazine, Whedon admitted that he found the ongoing continuity challenging – in large part because of the constant flow of events. This was a golden run for the X-Men; a fan-favourite cast, all wonderfully characterised, with a single overarching narrative. Whedon began by declaring the X-Men to be super-heroes, and ultimately had them proving it at a terrible cost. He laid the foundations for some of the key character developments of the next decade, particularly as regards Cyclops.